Are you familiar with Cookie Butter? It’s so so good. I mean so good. But know what’s even better? 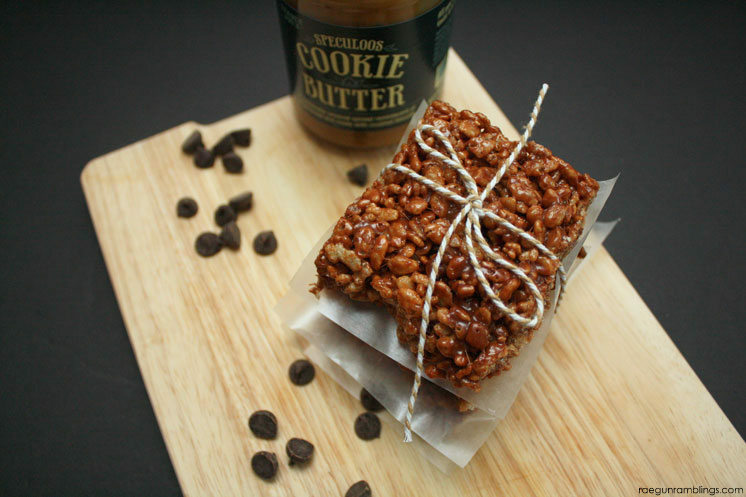 Cookie Butter in Rice Krispie Treats. Yup brilliant right? I did it on a whim one day and really we can’t go back. It gives the classic dessert just a little something extra special. You should try it. But you should invite people over first or else you might end up eating them all on your own. My husband really loves them. And all my husband really wants for Father’s day is sleep. I can’t blame him. That’s all I really want these days. Well that and maybe a shower that includes washing my hair. But unless Teddy decides to cooperate I don’t know if sleep is a gift I can give. But I figure a nice relaxing massage might be the next best thing. 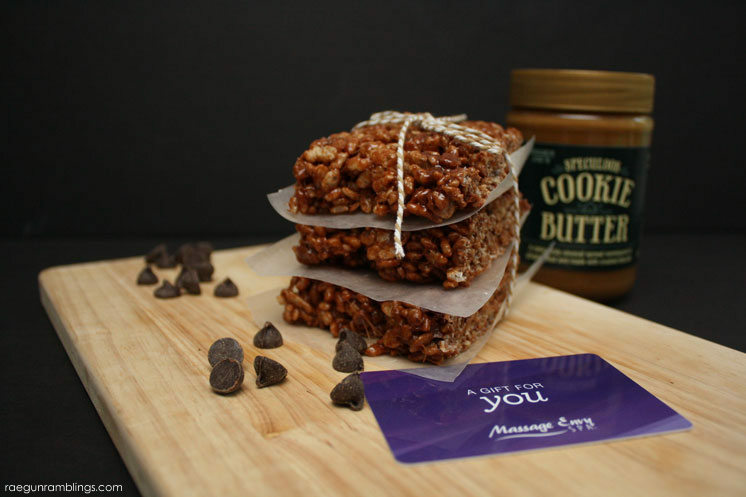 So I’m thinking delicious cookie butter goodness with a fabulous massage. Melt the butter in a large pot. 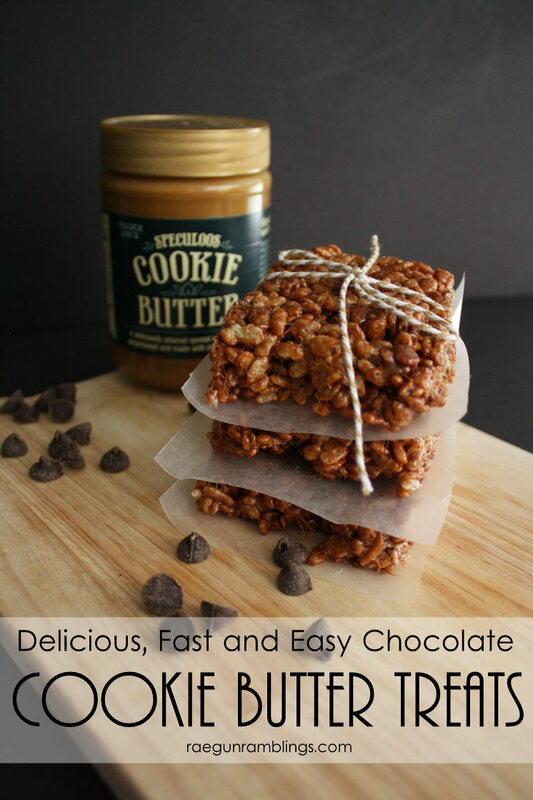 Add the marshmallows and melt when almost fully melted add the cookie butter and chocolate. Stir until fully combined and melted. Remove from heat and stir in rice krispies. Turn out onto a piece of wax paper. These look to die for! I could use them for breakfast this morning. 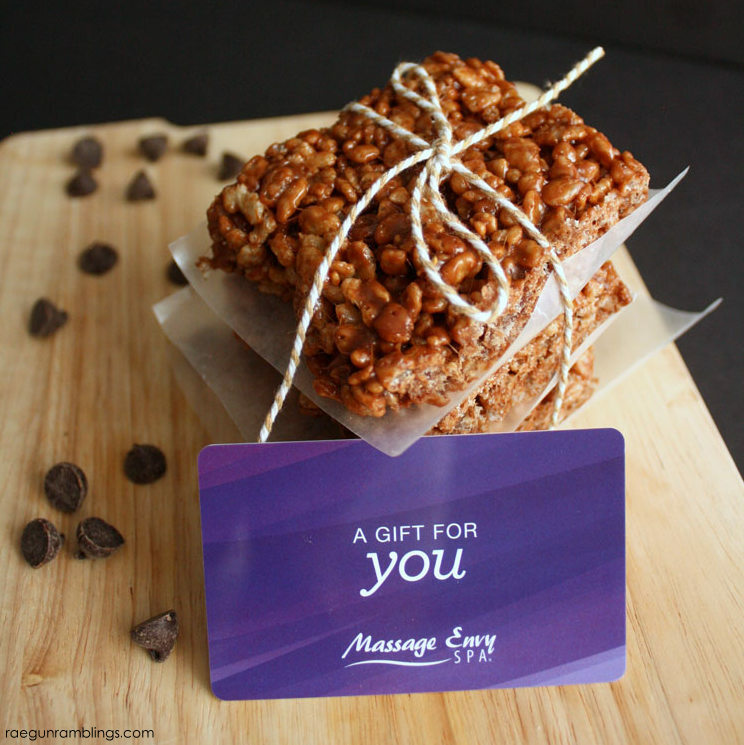 Such a great treat to go with that Massage Envy gift card too. 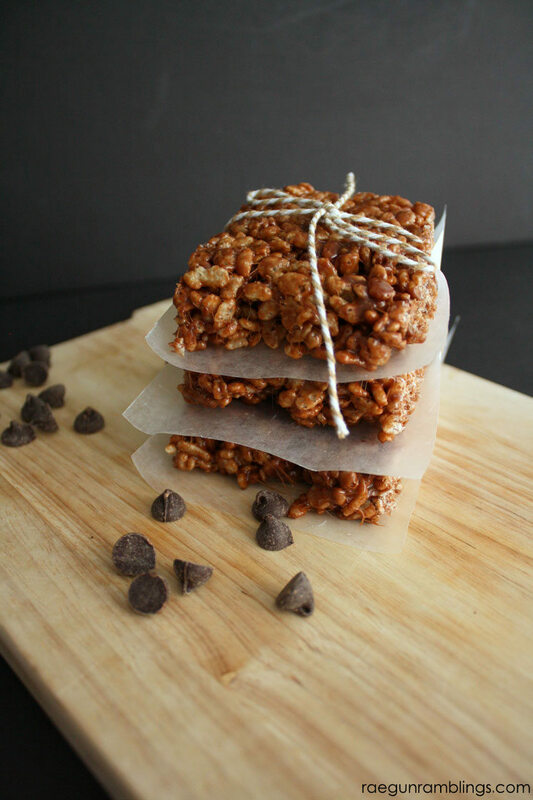 I could be pampered while eating these amazing Rice Krispie Treats! Yum!! They look so delicious. I love creative rice krispie treats. These sound so amazing and so does a massage! Together it is the perfect gift! right, we should totally just have a good presents idea for friends and family haha! What a great gift combo! Love it. Now I want a massage. These look delish. 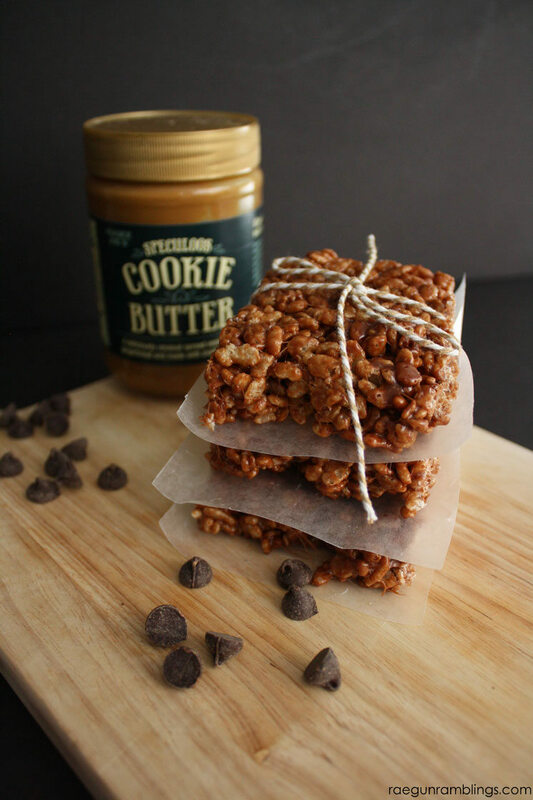 Where in Australia can i get cookie butter please. I’d like to try them, but I’ll be lucky to find Cookie Butter. Thanks for the recipe.